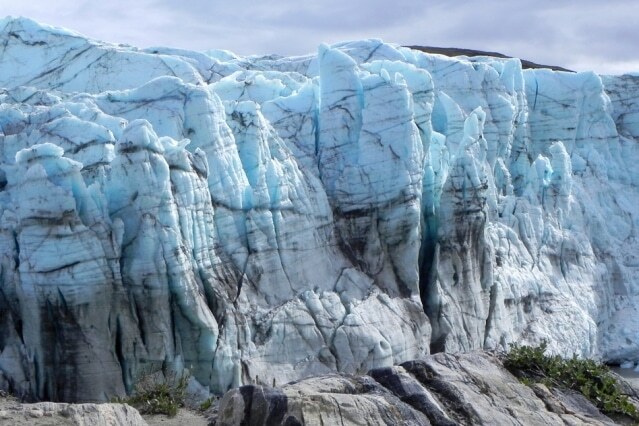 A novel method has been developed by researchers from Princeton University, MIT, and elsewhere that uses seismic vibrations created by ocean waves to track seasonal changes occurring in Greenland’s ice. The study could enable scientists to identify the ice sheet regions that are the most sensitive to melting. The results of the study have been reported in the journal, Science Advances. The new method could also set better restraints on how the global ice sheets play a key role in world’s sea-level changes. One of the major contributors to sea level rise will be changes to the ice sheets. With our technique, we can continuously monitor ice sheet volume changes associated with winter and summer. That’s something that global models need to be able to take into account when calculating how much ice will contribute to sea level rise. Prieto and the research team are focusing their research on the impacts of seismic noise, like the ocean waves crashing on the Earth’s crust. When these waves hit against the coastline, they steadily produce seismic waves or small vibrations. They happen 24 hours a day, seven days a week, and they generate a very small signal, which we generally don’t feel. But very precise seismic sensors can feel these waves everywhere in the world. Even in the middle of continents, you can see these ocean effects. According to the researchers, any considerable overlying mass, like the sheet of ice, could serve as a weight on a sponge, squashing the pores closed or allowing them to reopen based on whether the ice above is growing or reducing in size. Headed by Aurélien Mordret, a postdoc in EAPS, the research team assumed that the speed at which the seismic waves propagate through the Earth’s crust may hence mirror the actual quantity of ice lying above. By looking at velocity changes, we can make predictions of the volume change of the ice sheet mass. We can do this continuously over time, day by day, for a particular region where you have seismic data being recorded. Usually, researchers use laser altimetry to monitor the changing ice sheets. In this approach, an airplane flies across a region and transmits a laser pulse back and forth to determine the topography of an ice sheet. Scientists can also use the data collected by NASA’s Gravity Recovery and Climate Experiment (GRACE) mission — twin satellites that revolve around our planet to determine its gravity field, and this can be used to deduce the volume of an ice sheet. You can only do laser altimetry several times a year, and GRACE satellites require about one month to cover the Earth’s surface. This has very good time resolution, so it can look at melting over short time periods, like summer to winter, with really high precision that other techniques might not have. Using a seismic sensor network based on the western part of Greenland’s ice sheet, the team studied the seismic data that was collected between the periods of January 2012 to January 2014. The sensors were able to document seismic vibrations produced by ocean waves along the coastline, and the same have been utilized to track earthquakes and glaciers. Prieto’s research group was the first to employ seismic data to track the Greenland’s ice sheet. Looking through the seismic data, the team successfully identified very small changes in the speed of seismic waves, of below 1%. Average velocities from January 2012 to January 2014 were monitored, and extreme reduction of seismic velocity in 2012 against 2013 was observed. These measurements reflected the observations of the volume of the ice sheet made by the GRACE satellites, which documented unusually large melting in 2012 against 2013. The comparison indicated that seismic data may certainly mirror the changes in ice sheets. Using the data collected by the GRACE satellites, the researchers went on to develop a model system to forecast the ice sheet volume, considering the speed of the seismic waves inside the Earth’s crust. It was observed that the model’s predictions corresponded with the satellite data with 91% precision. Further to this, the researchers are planning to utilize existing seismic networks to monitor the seasonal changes occurring in the Antarctic ice sheet. Our efforts right now are to use what’s available. Nobody has been looking at this particular area using seismic data to monitor ice sheet volume changes. If the method turns out to be consistent in Antarctica, Prieto intends to launch a large-scale study that would involve several more seismic sensors spread along the coasts of Antarctica and Greenland. If you have very good coverage, like an array with separations of about 70 kilometers, we could in principle make a map of the regions that have more melting than others, using this monitoring, and maybe better refine models of how ice sheets respond to climate change. Besides Princeton University and MIT, other contributing institutions of the paper are Stanford University, Boise State University, and Harvard University. The National Science Foundation partly supported the study.